What's New in this Lightroom Release > Creative Cloud News > If you cancel your CC subscription, you’ll lose all your work… or will you? There’s been a lot of discussion about subscription services and whether you’ll lose access to your work when you cancel your Creative Cloud subscription. This is particularly of concern to Lightroom users because your edits are stored non-destructively in the catalog. Of course you could export all of your edited photos to standardized formats before canceling your subscription, but that’s hardly ideal. So what do you do? Believe it or not, Adobe has been listening. A change was quietly made to the Lightroom 5.5 release to allay your fears. As long as you’re running Lightroom 5.5 or later, if your subscription or trial version expires, you can continue to use Lightroom excluding the Develop module, Map module and mobile sync. Yes, you read that correctly! You can import new photos, add metadata, organize them, search for specific photos, do rough edits using Quick Develop, apply Develop presets, create books, slideshows and web galleries, email and publish photos on social media, export and print your edited photos… nothing is lost! And when you’re ready, you can renew your subscription or buy a perpetual license to unlock the main Develop module, Map module and mobile sync (sync is subscription only, of course) and use Lightroom to the full. I’m sure there will be people with a few interesting conspiracy theories, but I see this as a huge step forward. Of course Adobe want to encourage people to join their subscription service – they’re a business, after all – but they’re doing their best to ensure there’s no risk to you or to your data. What do you think of this change in policy? That seems like a well-reasoned and carefully planned response to the issue. Well done Adobe! LOL I’m amazed it hasn’t slipped out already! If I own the desktop version of LR can I just return to using that? Yes, if it’s the same version (i.e. you’re using LR5 on subscription and then want to go back to LR5 as a perpetual license). Victoria, thank you for this information. I never thought about what happens when cancelling CC, but now I know I’ll still have access to my catalogs. You’re welcome Gerrit. It’s reassuring to know you have nothing to worry about – and hopefully they’ll continue improving CC so you’ll never want to cancel. Thanks Victoria. I’d some concerns regarding this, even though I’m happy at present with CC. It’s good to know my photos remain accessible. My pleasure Steve, I think it’s great news. They keep promising that it’ll continue to be available as a perpetual license too, so I don’t foresee that changing anytime soon. > so I don’t foresee that changing anytime soon. Yup – that’s what I thought at the time too! Looks like we were all wrong! I spotted that quote while searching for an answer to what happens to Lightroom CC (NOT Classic) users and their (cloud-based) data when they cancel their subscriptions. Hi Ian. When you cancel, Adobe gives you a year to download the photos. Lightroom CC goes into a read-only type mode so you can download them that way, or there’s a separate downloader tool to pull everything down from the cloud, so you have plenty of time. If it was me, I’d use the Lightroom CC desktop app and export out to another hard drive as “Original + Settings” format so you keep all your metadata too. Thanks for clearing that up Lyle. You’re right, a lot of people still seem to think it’s all done ‘in the cloud’. I own perpetual Lightroom 5 and the full Creative Cloud. I’m loving the fact that you get all of Adobe’s products for the duration of the subscription period. So if you dabble in video and sound editing, that’s there too. Have to tutor someone in Illustrator, or do some vector work? You already own it. I do the bulk of my workflow in Lightroom and Photoshop, but I love having the option of using whatever I’d like, whenever I’d like! Me too Amarand! I’ve found I’ve used extra software I wouldn’t have purchased otherwise. Your clearly written instructions have, in the past, helped me move my lightroom catalog from a Windows PC to an iMac – thank you. I am now contemplating moving to CC and want to be absolutely clear about the issues in your article above. 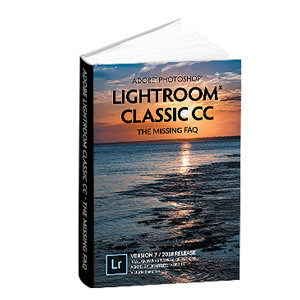 I have read that by downloading CC and activating LR and PS, the LR 5.7 (that I currently own) will be overwritten. However, your article suggests that , if I were to stop my CC subscription, I would be able to go back to using LR 5.7and continue to access my existing images as well as being able to process new ones in the full Develop module. Please can you clarify whether my LR 5.7 will be overwrtitten, and if so, how I would be able to retrieve it if I stopped subscribing to CC? Hi David. To move from perpetual to CC, you’d uninstall the current version and install from the CC app. If you later wanted to install your perpetual license again, you’d uninstall the CC version, download the perpetual version and type in your serial number, just as if you were installing the perpetual license for the first time. The installer is available on Adobe’s website, and you could download and save it today if you’re concerned. I should note that when LR6 comes out, if you upgrade your catalog to the LR6 version, you wouldn’t then be able to open that upgraded catalog in the perpetual 5.7 version because the catalog format isn’t backwards compatible. (That’s always been the case if you upgraded using a trial version and decided not to purchase too.) There are partial workarounds by writing most of the settings to XMP, or you could buy a LR6 perpetual license, but just bear that in mind if you think you’re likely to stop the subscription. Yes, you’ll still be able to export them with their existing edits (and even change them roughly using the Quick Develop panel) but you won’t be able to adjust any sliders in the Develop module itself for new or old photos. I have LR 3 or something like that. Did not like it, but with the death of Aperture, I have to face the reality of moving to LR6 or CC. My question is simple. If I sign up for CC (LR+PS) now and at some point in the future let my subscription expire will there be an opportunity to purchase LR6 as perpetual license at that time or would I be better off purchasing the LR6 perpetual license now and then sign up for CC, holding the LR6 in reserve so to speak for the time when I let my subscription expire? As it stands today, yes, you could buy a LR6 license if/when you decided to end your subscription. I can’t foresee the future so that could change at some point, but I’m sure stores would still have some boxed copies around for a while after any end-of-life announcement. It sounds like I cannot run LR6 or CC while the other is installed. Therefore, I would need to uninstall one of them before using the other. If that is the case how is the data retained from CC or LR6, depending on which way you are going. They’re exactly the same program, just a different way of licensing (and a few features hidden in the perpetual version). If you uninstall and reinstall, your presets and catalogs are all retained. If you were to end the subscription at some time, would you still be able to see and use your catalog as before – sort, etc. or would that stop working. I understand the develop module would be unusable. Thank you. Yes, everything would continue working as normal, except the Develop and Map modules and sync. 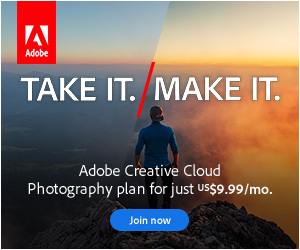 I am a CC member, and had Lightroom 5 before subscribing to CC. I haven’t installed Lightroom CC on my computer after subscribing to CC and continued to use Lightroom 5 and Adobe Muse CC. Now I want to upgrade to Lightroom 6 and pay for it even though I can use Lightroom CC for free on my membership, the reason being that I don’t trust them. They are evil! I might want to discontinue my membership on CC and go with version 6, and or 7 if it comes up, and I can’t trust them to make that possible. Having a light version of develop module is not an option for me. The problem is that it wouldn’t let me to install version 6 and says you are a CC member and can’t install version 6. Evil’s a bit of a stretch. They’re in business to make money for their shareholders, as well as trying to keep their customers happy, so they do sometimes make decisions we don’t like as customers. CC and LR6 are exactly the same build, just licensed in a different way, which is why it won’t let you run both at the same time. If you cancel your subscription in the future, you can convert it to your LR6 license using https://www.lightroomqueen.com/lr6activate but you might as well take advantage of your CC subscription while you have it available. Hi Victoria, I cancelled my CC sub today (a long and painful exercise as they tried to charge me breakage) as they raised the price 20%, didn’t write to me and I cannot justify this increase. HOWEVER my challenge (whilst I calm down and decide when to invest in say standalone products) is I can’t get back into LR CC. I have a ‘free CC membership’ on my account however cannot get LR to authenticate/sign-in and don’t have the appetite/strength to contact adobe today! Any ideas? I just want to access my catalog – i know develop should be greyed out. LR will only give me the trial/serial number and not all to play fair and let me sign in, it forces me to serial number page. Any ideas? Have they changed the rules? I’m not aware of any pricing changes… were you on a special offer price perhaps? Nothing’s changed, but it’s certainly possible you’re hitting a bug. If you go through the trial, does it let you do that? I’ll see what I can find out. Oh, by the way, a short term workaround might simply be to sign in to the trial with a different Adobe ID, while I find out what’s going on. That should get you going today. Great, if you have any trouble when the trial expires, let me know and I’ll put you in touch with the right person. In theory, when the trial ends, it’ll automatically revert to the limited mode (so you’re just getting 5 extra days of being able to use ‘full’ Lightroom). Great, thanks for the update Mike. With an expired Lightroom subscription, will the Edit In menu still function? Will a user with an expired LR subscription still be able to use, for example, the NIK plugins via the Edit In menu? As far as I know, yes. I don’t have an expired sub to triple check that, but I’m 99% sure. It’s very important for me to know if I’ll be able to export my photos through a plugin (Perfectly Clear etc.) after I cancel my membership. Is there anyway to verify that Victoria? If I cancel and thendetermine I can’t do it, could I resubscribe until I can get all my photos exported? You’d definitely be able to export your photos to JPEG or TIFF through the normal export dialog, and then you should be able to open the in any other software (Perfectly Clear etc.). I’ll see if I can get definite confirmation that plug-ins will still work, but I can’t see why not. I have confirmation AE, plug-ins continue to work.